Specialists at Stony Brook Medicine’s Cerebrovascular and Stroke Center (CVC) are treating patients with a new generation of blood clot removal devices that show promise in successfully revascularizing stroke patients, including those with large vessel blockages. The Solitaire Flow Restoration Device and the Trevo device, approved by Food and Drug Administration (FDA) in 2012 to treat stroke caused by the sudden obstruction of a brain blood vessel (acute ischemic stroke) showed improved results over a previous standard and first generation clot-removal device in clinical trials. “We have had excellent outcomes using these new devices,” said David Fiorella, M.D., Ph.D., a Professor of Clinical Neurological Surgery and Radiology at Stony Brook University School of Medicine and Co-Director of the CVC. “In acute ischemic stroke, ‘time is brain,’ and in some cases just minutes matter. Therefore, restoring blood flow in an effective and timely manner is critical to the survival and recovery of stroke patients. These new devices enable us to quickly restore blood flow and retrieve the clot in most patients,” said Dr. Fiorella, who has performed some 30 procedures on stroke patients using the new devices. According to the American Stroke Association, stroke remains the fourth leading cause of death and leading cause of adult disability in the United States. On average a stroke occurs every 40 seconds in the country, and someone dies from a stroke every four minutes. These statistics speak to the need to develop more effective drugs, devices, and procedures to treat stroke. Recent results of clinical trials reported in The New England Journal of Medicine (February 2013) about the use of first generation of blood clot removal devices in the endovascular treatment of acute ischemic stroke revealed that endovascular treatment does not result in better patient outcomes compared to standard drug treatments. Dr. Fiorella contends that while these trial results are important in the search for the best treatment protocols for acute ischemic stroke, the new devices and techniques are markedly better than those used to treat the majority of patients in these trials and may yet prove to be the most effective approach in select patients. Further research trials are being conducted at Stony Brook to investigate the efficacy of these newer, better devices in acute ischemic stroke. The new devices that Stony Brook cerebrovascular specialists use to perform revascularization are expandable wire-mesh systems that collapse and are delivered into the brain blood vessels through small flexible tubes (microcatheters) which are guided from the groin to the brain. The devices open at the site of the clot, displacing the occlusion and immediately restoring blood flow to the brain. 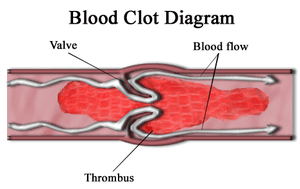 When the devices are withdrawn from the blood vessel, they take the clot with them, allowing the clot to be removed from the blood vessel. March 22, 2019 - Eric Topol On AI And Healthcare Science FridayIn his new book, Eric Topol argues that AI can be used in hospitals for everything from patient safety to improving workflow. February 7, 2019 - Size and time impact outcomes when mechanical clot removal used for large core strokes Science DailyPatient outcomes with large core stroke damage are worse the larger the core volume and the longer the time lapse between stroke onset and treatment. January 24, 2018 - Clot-Removal Device Could Boost Stroke Outcomes WebMDIn the emergency procedure, called thrombectomy, doctors snake a catheter device through blood vessels to grab and remove the blockage.